I really really hope that the combined test and jumper classes we do this weekend go well. I really need a pick-me-up. Last Monday (that was back in September, haha! ), Robbye and I had a short dressage ride out in the outdoor, right as it was getting dark. 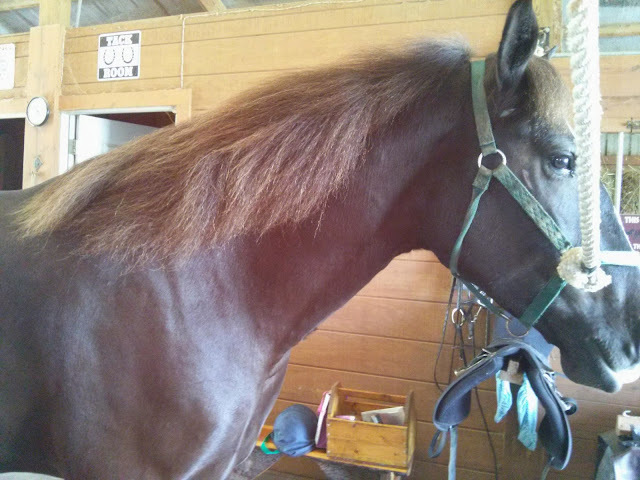 It was a great ride – Robbye thought about spooking, but I used my new strategies to keep her working and focused on me. This really seems to work with her – distract her enough or push her hard enough, and she forgets that she was planning on being stupid. Last Tuesday we had another dressage ride. 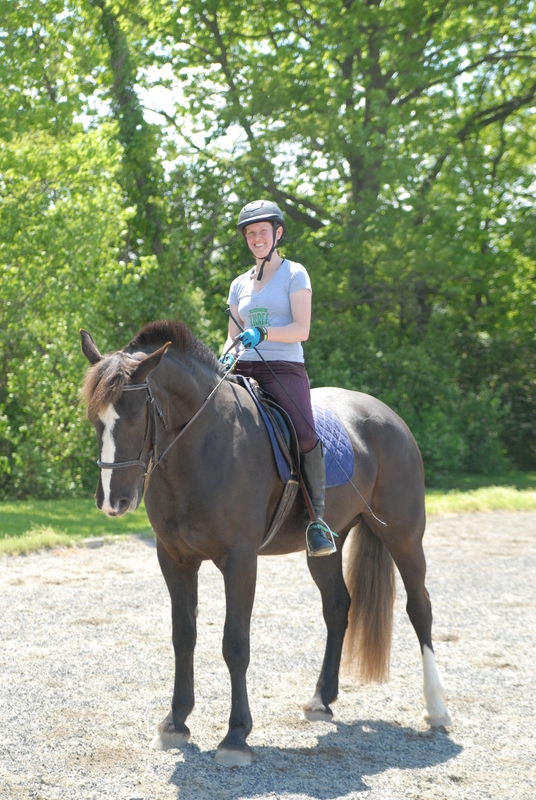 I worked on transitions (lots of them, especially at the canter) and my position. We then ran through our test for this weekend. I think I really truly know it now, so I don’t have to be paranoid! Wednesday we had an amazing dressage ride. We worked on more transitions, the yield against the wall (which she really seemed to get), and my position. I was very excited to see the lightbulb go off, re: the yield against the wall. Thursday we had another dressage ride. Yes, it was dressage week. I don’t remember specifically what we did…it’s possible I didn’t have a plan at that point. Tsk! Friday was our lesson. It was…not particularly good. I ended the lesson extremely frustrated with myself and my own abilities (…lack thereof). Saturday we both took a much-needed day off. Sunday I showed Big Al at the Standardbred World Show. It was…stressful. And not particularly successful. But, I feel honored to be given the opportunity to ride such a successful horse at the world show. Monday I longed in side reins, and really focused on transitions. I do think she’s getting better at listening on the longe line. Tuesday we had a morale-boosting o/f ride. There were no attempted run-outs and only one bucking, careening party across the arena. The fences weren’t high, but they were about what they will be at the show this weekend. Hopefully we’ll jump successfully there, too! < Previous Another week behind!